During the last few days, I have been looking at my new adventure as an author and I must say that it has been extremely rewarding from both a personal as well as spiritual point of view. For the most part, it has been an enjoyable journey especially the weekly blogs. You might remember that writing didn't come naturally to me, in fact, I hated it. It was one of my weakest areas in academics. 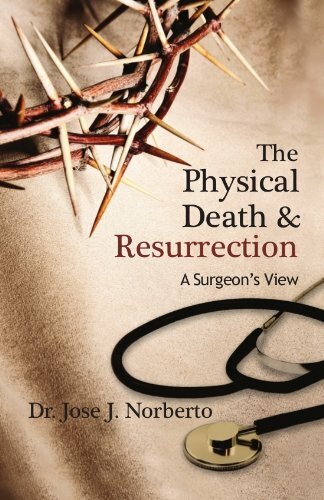 All of that changed once I decided to write about Jesus in my book “The Physical Death and Resurrection – a Surgeon’s view”. After releasing the book and activating my social media, I have been able to interact with individuals from different backgrounds. I should say that for the most part my interaction with all denominations has been very enjoyable. In fact, I have enjoyed the different charisma that the various denominations have to offer. Most of the time, I just ignore the nasty comments and move on. But, I also remember a situation in which a man posted a couple times that he was an atheist and asked, "How is it that those ads are coming his way?” So I proceeded to apologize and told him that I have no control over that. "On the other hand, for some rationalists, who emphasize observable facts, Jesus was just an extraordinary man, perhaps the greatest human being ever. This book also shares suitable information about that extraordinary leader capable of dying with the most barbaric execution without giving up His ideals. He was a leader, in the whole sense of the word— the type of leadership that is lacking in current times." There are very smart atheists but there are also extremely smart religious people. One thing is for sure, if I don’t read a book, if I don’t know about the author, then I won’t criticize his/her literary work. It would be disrespectful and inconsiderate on my part. Even if that author is openly atheist or even if the book is trying to defend an atheist position. If I don’t read it – I have no opinion about that work. It's as simple as that. So I wonder how come the “Intellectual atheist” can criticize what they haven’t read. Isn’t he/she supposed to be the objective and methodical one? Respect of other beliefs is paramount in modern society. In fact, loving and respecting one another is a fundamental part of my Christian beliefs. So I will respect and love them regardless.